Vacancy rates dipped and rents edged up as Denver set another record in apartment construction in the first three months of 2017, according to the Denver Metro Area Apartment Vacancy and Rent Report released today. The new deliveries topped the previous first quarter record of 2,670, set in 1999, by 22%. Since the survey started tracking quarterly apartment construction nearly 36 years ago, only two quarters have seen more units delivered: June 2002 and September 2001 which saw 4,384 and 3,299 units built, respectively. Teo Nicolais, a Harvard Extension School Instructor who specializes in real estate cautions that the new deliveries have the potential to skew metro-wide average rent figures since new apartments disproportionally command higher rents. The survey found average rents did edge up from $1,347 to $1,383 during the first quarter of 2017. However, Christopher Dean, Vice President of Communications at AAMD, notes that discounts and concessions being offered to residents increased from $59 to $86 during the same period. The survey of over 124,000 apartment units found that Average Effective Rents, which includes discounts and concessions, increased just 0.72% from $1,288 in December 2016 to $1,297 at the end of March 2017. The increase reflects an annualized growth rate of 2.9% compared to the Colorado Legislative Council’s estimated annualized growth of 2.4% in the Consumer Price Index over the same period. While metro-wide, vacancy dipped from 6.2% in December 2016 to 5.7% in March 2017, industry experts note that housing market is subject to signs of seasonal changes. "The first quarter, much like the fourth quarter of 2016, has trended more towards Denver's historic seasonality,” said Andy Hellman, Senior Managing Director of ARA, A Newmark Company, in Denver “That being said, the number of units absorbed in what is typically one of the slower quarters of the year, was very bullish. This should signal another strong leasing season and relieve some of the pressures given the amount of new product currently in lease-up. We anticipate another strong year in Denver's apartment market." Among other finds in the report, vacancy rates varied by up to 10% even between neighborhoods in close proximity. Industry experts are optimistic that 2017 will be an active year in the Denver housing market. "The first quarter of 2017 made for a promising outlook for the remainder of the year,” said Terrance Hunt, Vice Chairman of ARA, a Newmark Company, in Denver, “We are still seeing abundant demand for apartments as this has been one of the strongest first quarters of absorption in Denver's history. Absorption outpaced the new deliveries for the quarter and rents moved back to the positive after a typical sluggish fourth quarter." 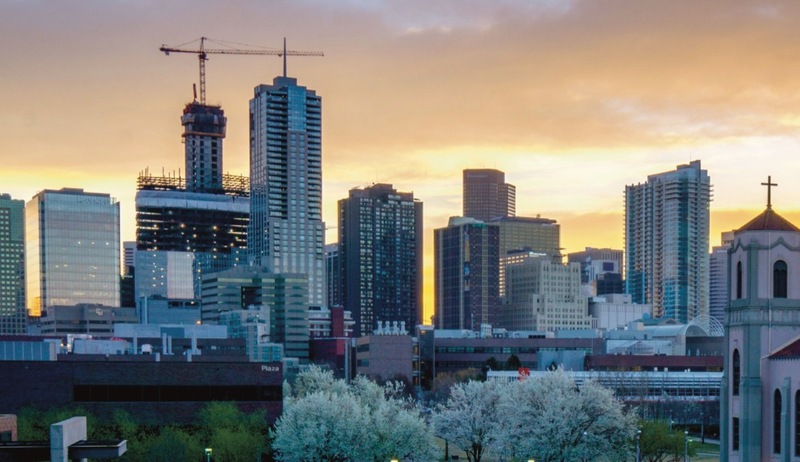 The Apartment Association of Metro Denver is among the largest multi-family housing trade associations in the country, representing and supporting over 325,000 apartment homes in Denver. The quarterly Vacancy and Rental Rate Survey is authored by Ron L. Throupe, Ph.D. of the University of Denver Daniels College of Business, and Jennifer L. Von Stroh of Colorado Economic and Management Associates. It has served as a reliable source for comprehensive data and analysis for over 35 years and is made possible through the ongoing participation of the apartment industry and broad support from private and public sector sponsors.